Most days of the week, lunch can be satisfied with a decent set menu and a nice glass of wine…perhaps a bottle, if it’s been that sort of week. Then there are other days: when you’ve landed a big project, when a long-lost friend is in town, when the sun is shining just so. 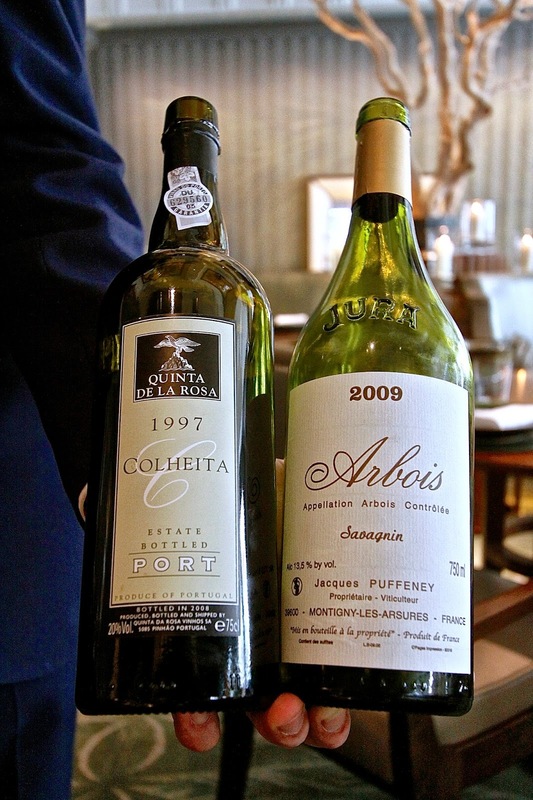 On those days, when you’ll want something special, Fera at Claridge’s makes a very strong case. Fera, under executive chef Simon Rogan, takes over the space formerly ruled by Gordon Ramsey at Claridge’s: the dining room, though extensively renovated, retains many of that once-lauded restaurant’s grand Art Deco fittings. Yet Fera is somewhat softer, more inviting: less intent on slapping you about with greatness, real or perceived. The food reflects the environs: understated yet complex, elegant yet playful…though less rugby scrum than a summery game of boules. We opted for the full tasting menu (£105 + £95 wine flight) though Fera also offers a more modest three-course lunch for £35, sans wine, and an a la carte menu with starters ranging from £16-23 and mains from £24-38 (as of late August…the menu changes frequently depending on season and produce.) Whichever menu you choose benefits from Fera’s micro-universe of growers and suppliers, including a 12-acre smallholding owned and managed by Rogan. The result is a consistent note of freshness and care at Fera: despite the regal surroundings, one gets the sense of dining in someone’s very grand personal home, with all of the personal touches one might expect. The full tasting menu we had consisted of six snacks and eight courses. Our menu was accompanied by a traditional yet well-judged wine flight, mostly Old World, all gentle and elegant in keeping with the tasting menu. 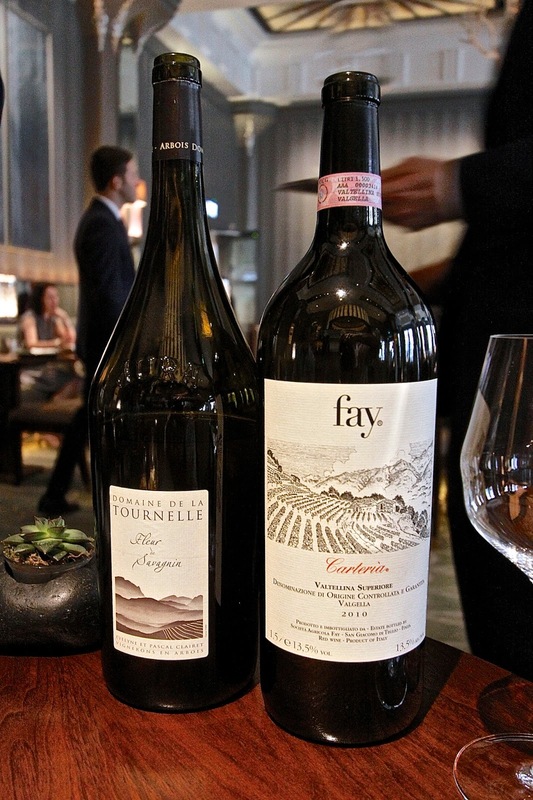 A la carte, Fera’s wine ranges from about £8-26 per glass; prices start at £29 per bottle but average around £50, quickly going up into the three and four figures from there. 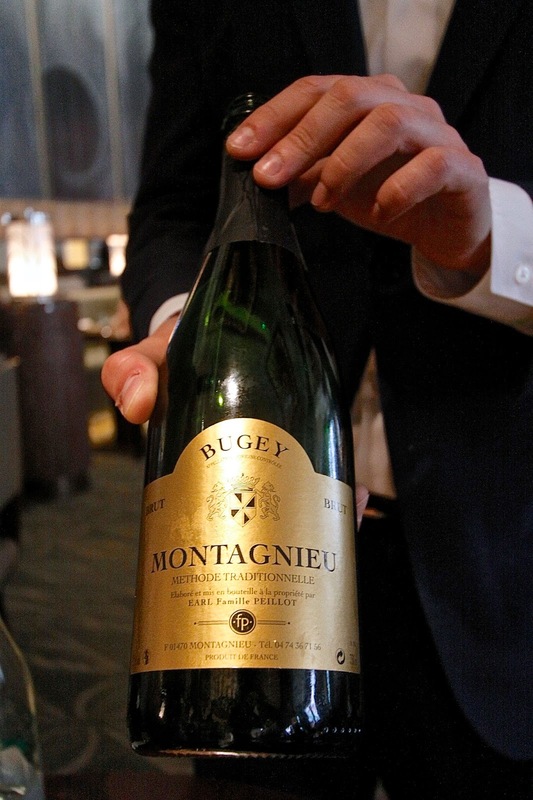 Our meal opened with a lovely glass of Bugey Montagnieu (Franck Peillot, Savoie), a sparkling wine with no added sugar, giving it a dry, almost tangy minerality. This was a fine accompaniment to our first snack, Puffed barley, smoked eel, ox-eye daisy, which looked very like something you’d pick up off the forest floor – woody and gnarled-looking, but light, crispy and smokily delicious. Stewed rabbit with lovage cream was an earthy delight, the rabbit encased in tiny balls of lightly fried tapioca, the effect being the crispiest and gentlest of rabbit croquettes. Squid, alexander and ling roe featured tender, slightly macerated pieces of squid sandwiched between feather-light crisps of ling roe: a quick, fresh explosion of the sea. 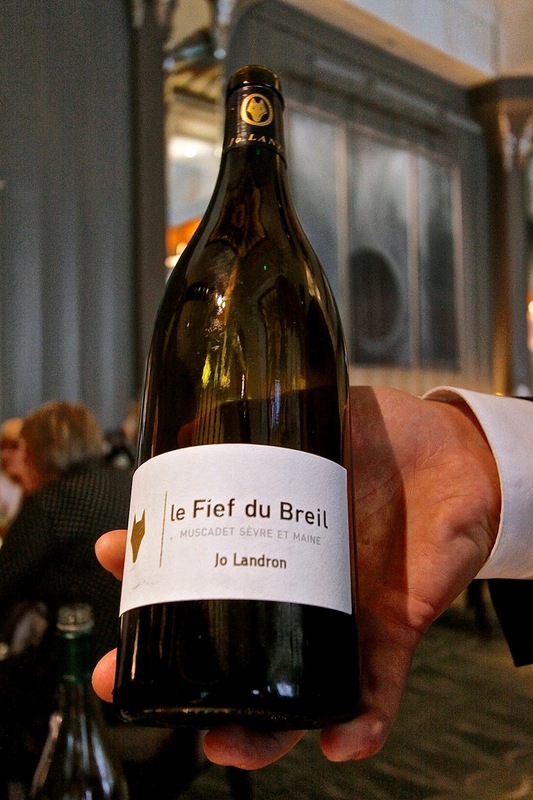 By this point we had moved, wine-wise, to a delicately honeyed Muscadet ‘Fief du Breil’ (La Louvetrie, Loire Valley, 2011) that paced the increasing depth and complexity of the menu. The squid snack was followed by perfectly judged Scallops and peas in buttermilk served in the shell, then the arguable star of the snack flight: a mousse of savoury Winslade cheese and potato in which sat a tiny, flavourful morsel of duck heart, deliciously rich. The final snack – Crab, rhubarb, verbena and pork fat – was a lovely bridge between the sturm und drang of the duck heart and the first of the main tasting courses, Aynsome soup, mustard cream, soft herbs and flowers. Cornish lobster, pickled golden beetroot, dittander and sea herbs was well paired with an unusual wine – Etna ‘Vinujancu’ (Vigneri, Sicily 2011): grown from black soil vines at the foot of Mount Etna, the smoky, almost charcoal notes of this unfiltered delight came alive against the meaty richness of the generous chunks of lobster in this course. Surprisingly savoury was a grilled salad course: salad crisped over embers with sunflower seeds and a truffle custard, served in a beautiful, hand-carved wooden bowl and tossed to taste via a small spade and fork, also hand-carved. We shifted to reds here, beginning with Valtellina ‘Carteria’ (Sandro Fay, Lombardy 2010), made from 100% Nebbiolo, which was a firm, licoricy accompaniment. A highlight was Hake in caramelised cabbage, potatoes in chicken fat with nasturtium: beautifully presented, the title of the dish neglects the absolutely delicious crisped chicken skin that added crunch to the firm, moist hake. The mains concluded with Dry-aged Herdwick hogget, beetroots and watercress, the hogget aged for 21 days and served with a sundried beetroot jus that was absolutely wonderful. 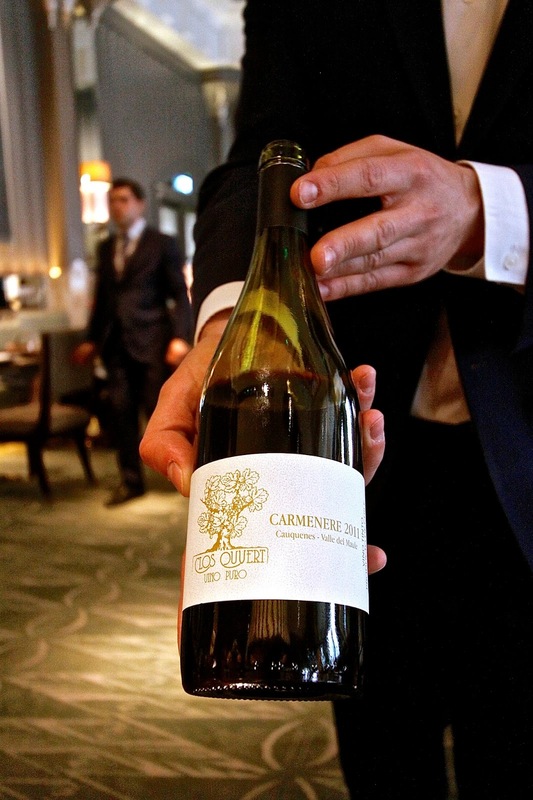 A marvellously thick, brambly Maule Valley Carmenere (Clos Ouvert, Chile 2011) was a perfect wine pairing and brought out the depth of the meat. A trio of desserts finished our meal. Pineapple weed ice cream with butterscotch and celery retained strong notes of all three signature ingredients and made for a surprisingly delicate, and delicious, combination. Less successful was Hereford strawberries with meadowsweet and linseeds: not a miss, just not a stand-out, the whole being so subtle as to practically disappear in the mouth. Sheep’s yoghurt, milk flakes, black cherries, Douglas fir – was held together solely by the last ingredient, which lifted what otherwise might have been another slightly underwhelming dessert. 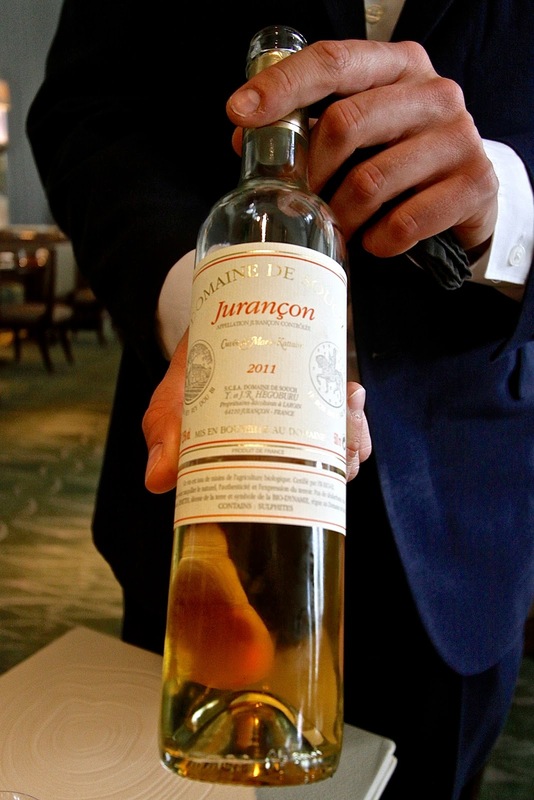 The desserts were matched with two lovely wines – indeed, head sommelier Riccardo Marcon didn’t hit an off note with any pairing. 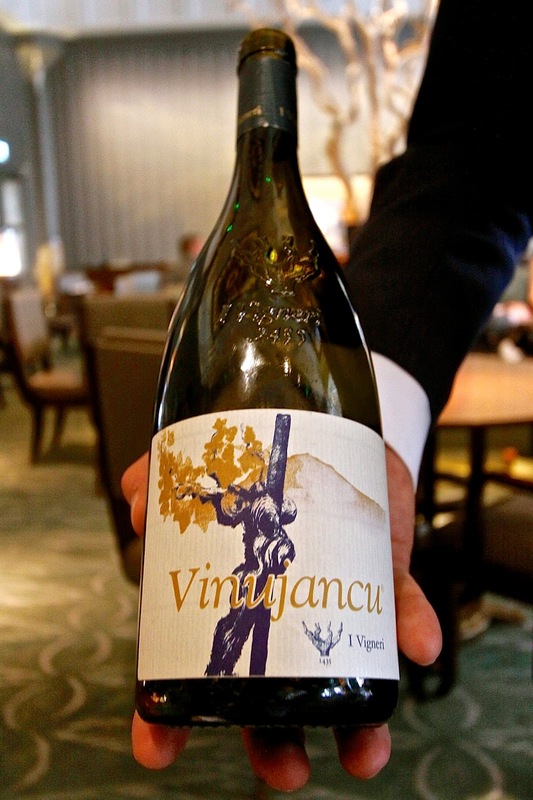 The Arbois ‘Fleur de Savagnin’ (Domaine de la Tournelle, France 2011), was golden, light and florally lovely; the Jurancon ‘Marie Kattalin’ (Domain de Souch, France 2011) was buttery and ever so slightly savoury, which worked surprisingly well with the black cherry dessert. As mentioned earlier, Fera’s menu changes with seasons and produce so your menu will almost certainly be different than ours. But given the quality of ingredients and the exceptional skill in their preparation (and the understated yet consistently attentive service) you can be assured that your special lunch, or dinner, will be well worth it.